A Torturous trip to the Wisconsin Dells…yes, The DELLS! I never thought The Wisconsin Dells had more to do than their World famous water parks. 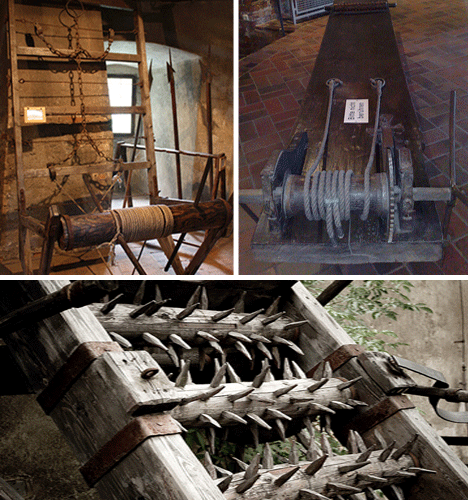 Well “Surprise” they have a museum dedicated to all things…torture devices! Located just off the main strip lies the Museum of Historic Torture Devices which will have you happy you can experience these as a spectator ONLY! 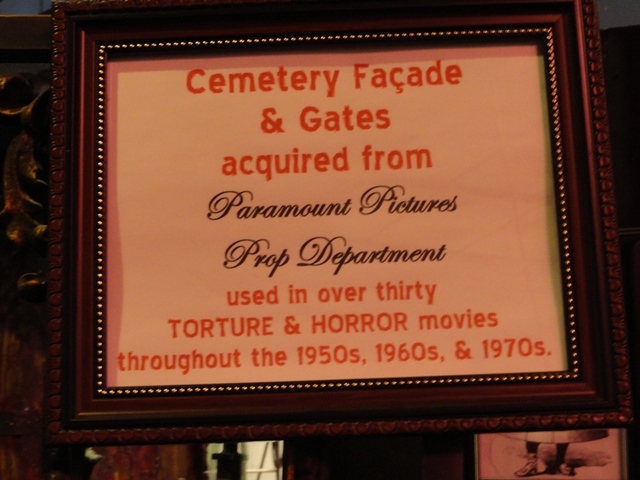 The museum has a Cemetery Gate that was used in many old Horror and Torture movies of the ‘50s, ‘60s and ‘70s acquired from Paramount Pictures. 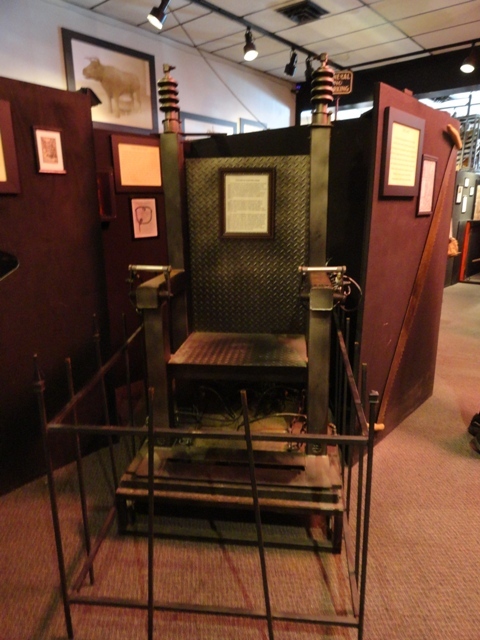 There’s an actual Electric chair at this museum too and, as you leave that exhibit, they have an amusement version you can try yourself!..no I did’t go for that special shock treatment, but it did look interesting. They also have a The Three Stooges connection in a display case as you’re leaving (let’s face it, they were torturing each other even if in an amusing way) along with other interesting signed photos, letters…one was from Elvira Mistress of the Dark, herself! There’s some dark Chicago history included in this museum such as mobster memorabilia and a John Wayne Gacy exhibit which including a personal hand written item and picture he painted that looked like the 7 dwarves (yes, I can hear your reaction, it was a strange choice for this museum and, as a Chicagoan, something I didn’t much care for). It may not be for everyone but certainly worth a look if you’re bored with all that water fun during your next trip to the Dells! 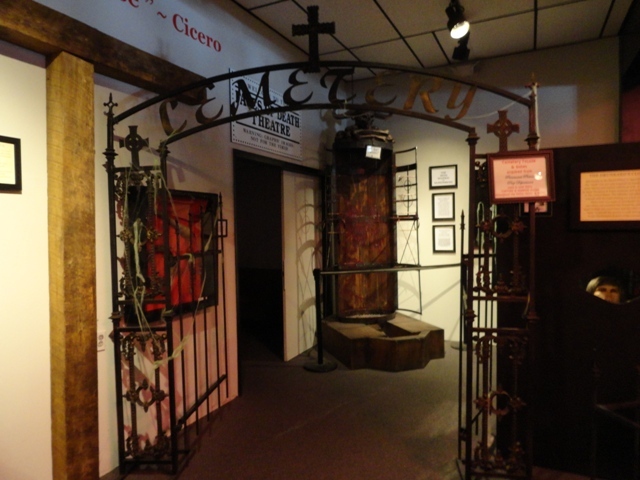 This entry was posted in Haunted Attractions, Weird USA and tagged Cemetery Gates, Electric Chair, Elvira: Mistress of the Dark, John Wayne Gacy, Mobsters, Museum of Historic Torture Devices, The Three Stooges. Bookmark the permalink. ← “The Black Waters of Echo’s Pond” worth the wait!